Our deadline has passed and we are no longer accepting applications at this time. Thank you to all our applicants for the 2019-2020 academic year. You will be hearing from us at the end of February. We think intellectual curiosity is the most powerful energy in the world. At Hopkins, we’ve created a culture dedicated to perpetuating, fulfilling and celebrating intellectual curiosity. We believe that education should be a multi-faceted pursuit, where a diverse community of individuals bond together to inspire each other, challenge each other, explore, discover and achieve. We think writers can be athletes, artists can be scientists, and mathematicians can be actors! 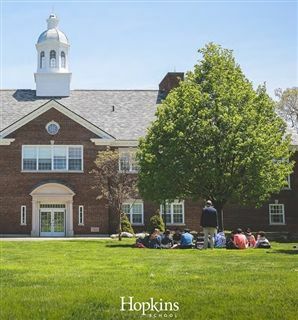 At Hopkins each student is encouraged and empowered to explore far and wide through academics, arts, social activities and service opportunities—layering on experiences that interconnect and augment each other and adding up to a more whole intelligence. We think a vibrant community starts by embracing individuality. At Hopkins, we believe an endless variety of unique viewpoints, traditions, beliefs, talents and styles are what make up a stimulating, healthy community. 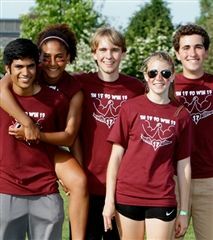 Each student is encouraged to truly be who they are, contributing to a culture of thought enriched by diverse individual perspectives and inspiring to all. Bring your curiosity to Hopkins! Explore our website and complete our online inquiry form. If you already know you want to join a group of motivated students who are intellectually curious, critical thinkers, explorers and innovators, jump right to the online application and start the process! The pages and links in this section are designed to help you navigate the application process, but we also welcome questions at admission@hopkins.edu or by calling (203) 397-1001 ext. 211. 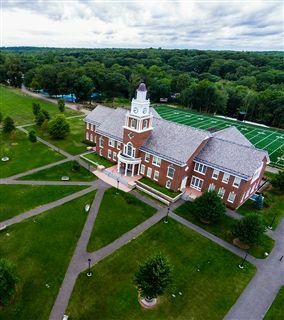 Hopkins School is located at 986 Forest Road in the Westville section of New Haven, Connecticut. The Admission Office is located in Hopkins House near the Knollwood parking lot. 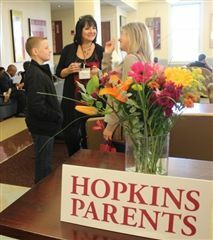 Hopkins encourages visits from prospective students and their families, as well as current families and other friends. We host an annual Open House in October. This year it will be Sunday, October 20, 2019. There are two sessions. One for students interested in grades 9-12 and one for students interested in grades 7 and 8. Information about Open House will be available in the fall. If you are unable to attend Open House, we also host student-led Tour Days on specific Wednesday mornings. Tour Days will be announced in the fall. Space for Tour Days is limited, so an RSVP is required. All Tour Days will begin at Hopkins House where there will be a short welcome at 8:45 am, followed by a student-led tour. Finally, if you are not able to visit on any of those days, some interview times can be combined with a campus tour. We will contact you to arrange an interview after your application has been submitted, and at that time, you can request to schedule an interview combined with a tour. Prospective students and families should not feel obligated to attend more than one of these events. 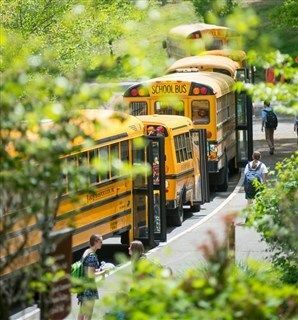 For families looking to get a head start on the admission process for the 2020-2021 school year, there will be a Sneak Peek on April 24, 2019. An RSVP is required. Register here. There will also be two summer Tour Days: July 24 and August 14. Registration for those will open at the end of the school year.